Cutting Through the Water: Becoming a Champion Salesperson by Nikolaus Kimla - SalesPOP! In any field, being good is one thing—but becoming a champion is quite another. Taking swimming as an example, some people swim very well. But to become a champion—such as 1972 7-time Olympic Gold Medal winner Mark Spitz, for example—it requires serious dedication, training and practice. Fortunately, becoming a champion salesperson—what we call a salespreneur—doesn’t require the length of time and physical endurance necessary to become a champion swimmer. But it does require a level of skill and knowledge well beyond that what has traditionally been required of a salesperson. 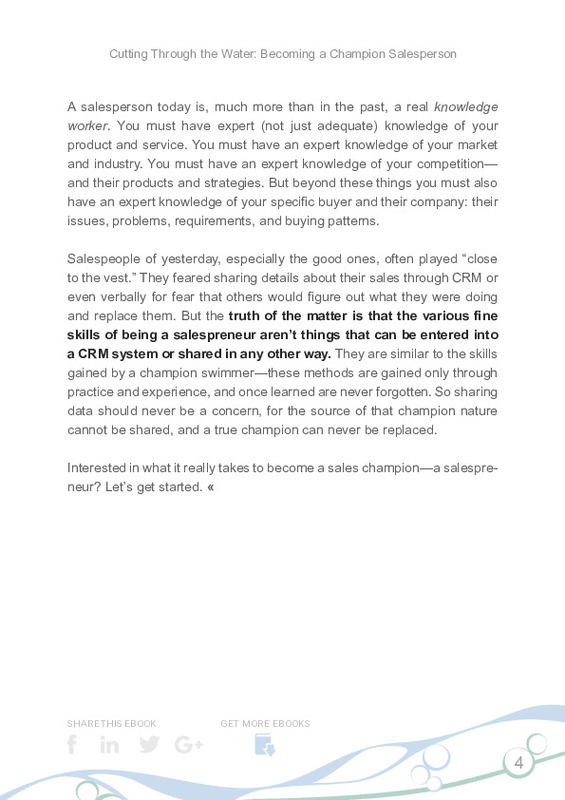 This book covers what it really takes to become a champion salesperson—a salespreneur. Although the two professions of champion swimmer and salesperson often have much in common in their dedication, courage, and success, the two differ tremendously when it comes to image. The image of a salesperson is somewhat tarnished, a bit seedy. You as a salesperson have your work cut out for you. Much of the time your prospects have an innate distrust of all salespeople and automatically include you in that category. How do you overcome that barrier? Chapter 2: The Born Champion? 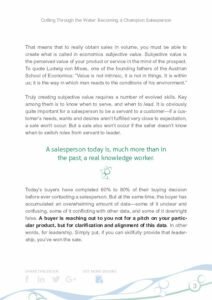 The conventional wisdom is that you’re either born a salesperson, or you’re not. If you are, you can sell. If you’re not, you probably shouldn’t even try. This is completely false. Just as it’s completely false that a champion swimmer “is born that way.” If that were true you could toss untrained children into the deep end of a pool, and a percentage of them would just start swimming. This has never been known to happen. 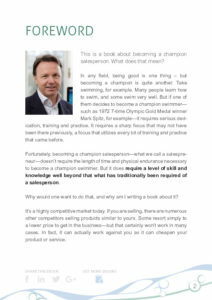 A champion salesperson, just like a champion swimmer, has trained. A well-trained champion swimmer is keenly aware of their surroundings: their path in their lane, their closeness to the wall, their distance to the end. 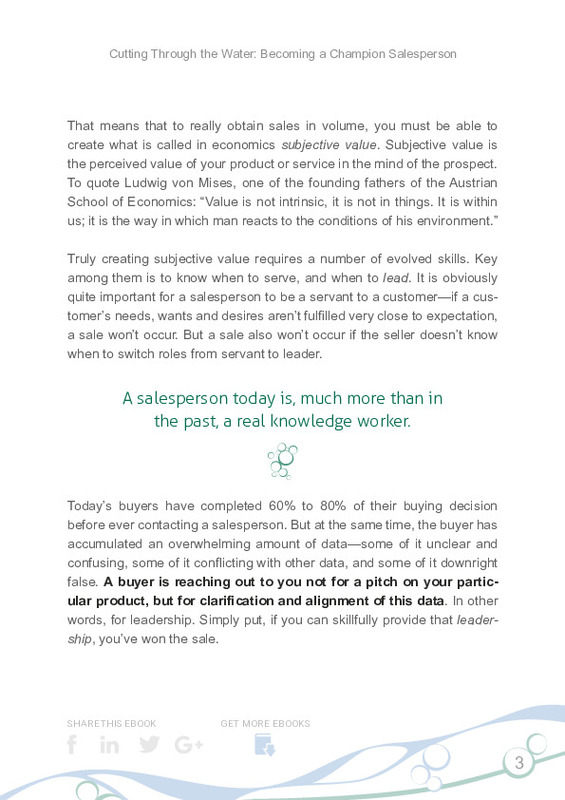 Similarly, a salesperson must have a keen awareness of the sales environment and all the factors in play. Well, which is it? Let’s examine each role in detail—and discover that it’s both. Part of your alertness as a salesperson must be to know when to switch back and forth to either of these roles. This is also true of switching from a listener to a speaker and back. 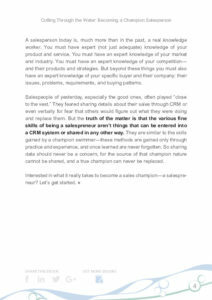 There is a considerable difference between a salesperson and a real salespreneur—just as there is quite a difference between someone who can swim and a champion swimmer. In addition to training, there is considerable difference in dedication, focus, in willingness to risk, and in responsibility. 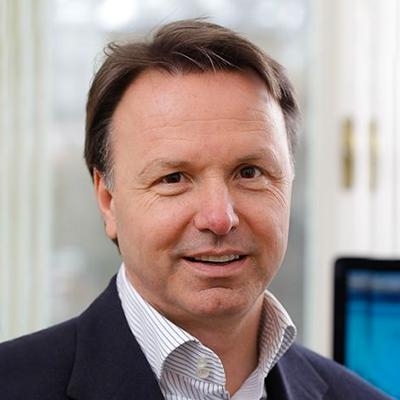 So what are these differences, and how does a salesperson fully evolve into a salespreneur? 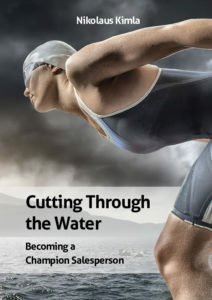 Download Cutting Through the Water: Becoming a Champion Salesperson now. Pingback Sales Productivity: Availability of Sales Collateral Materials - SalesPOP! 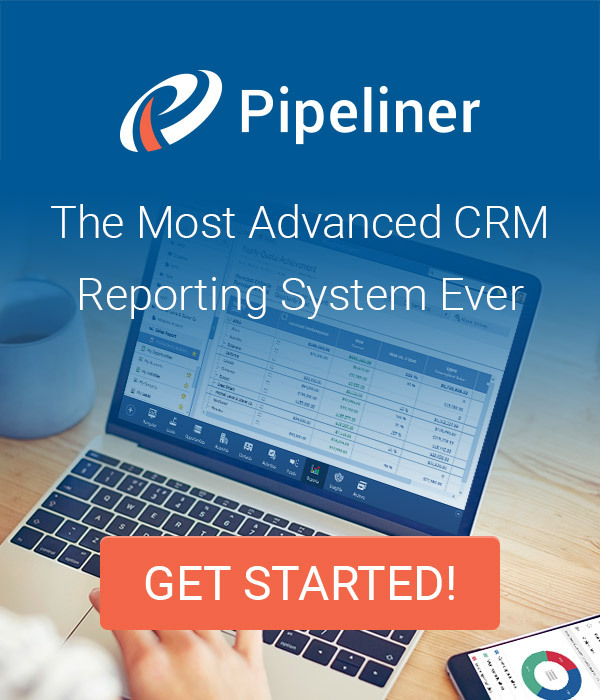 Pingback Building a Sales Team: Becoming Customer-Centric - SalesPOP!